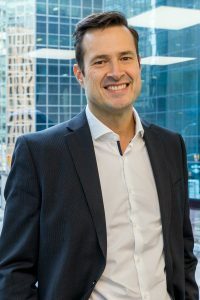 With over fifteen years of experience in maximizing the value companies get from their accounting, tax and business advisor relationships, Bruce’s role is to represent and grow business for Welch LLP and WelchGroup Consulting in the Ottawa and Toronto markets and help clients become more successful. He does this by working to develop long term relationships between the people of Welch and the businesses in our community, and finding ways for himself and the firm to add value at every step. Bruce graduated from Carleton University with a Bachelor of Commerce. Prior to joining Welch, he held senior business development positions at a large international accounting firm and in the high-tech industry. In 2005 Bruce was named one of Ottawa’s Top Forty under 40. Community minded, Bruce is very passionate about Ottawa and things that can make our great city even better. He’s currently on the board of directors of the Canadian Club of Ottawa and the Ottawa Film Office, on the organizing committee for the Ronald McDonald House Corporate Skifest (since 2005), and a member of the Queensway Carleton Hospital Foundation Cabinet Committee. When not introducing people who should know each other, Bruce enjoys music, food, various outdoor activities, and relaxing with his wife and two boys.